On Thursday, the European Central Ban will announce its latest monetary policy decision at 12:45 p.m. GMT. 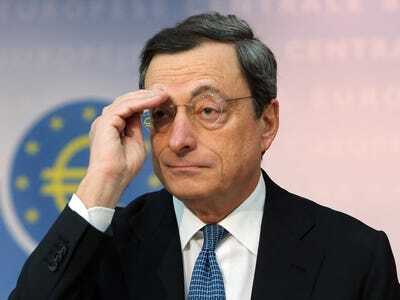 The meeting will be followed by a press conference with ECB President Mario Draghi at 1:39 p.m. GMT. Here’s what been going on since the big meeting, and what to expect for tomorrow. Inflation ticked up, but it’s still extremely low. The headline measure of inflation rose to 0.4% in October, up from 0.3%. That gives the ECB a little more room to breathe. For the last four months, inflation has been at either 0.4% or 0.3%, so concerns about a deflationary spiral might look a little less likely. 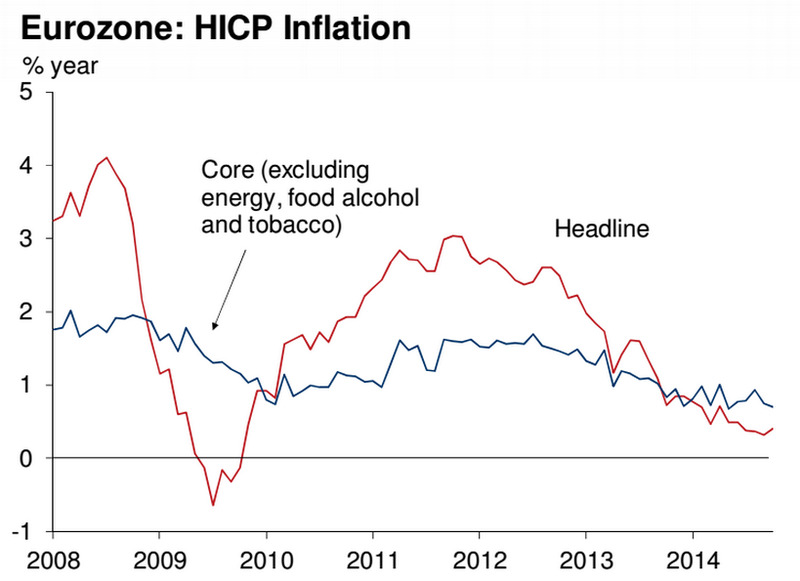 But the ECB’s target for inflation is 2%, which it’s still nowhere near meeting. 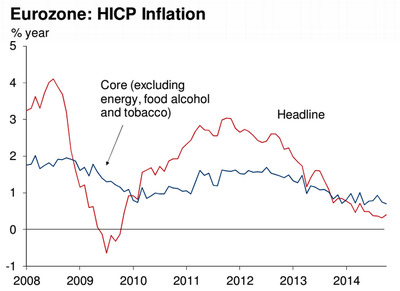 As the graph below shows, though headline inflation ticked up a tiny amount, core inflation which strips out volatile items like food, is at a joint-record low. The outlook got even more grim. Inflation at 0.5% this year, 0.8% in 2015, and 1.5% in 2016. GDP growth at 0.8% this year, 1.1% next year and 1.1% in 2016. Unemployment at 11.6% this year, 11.3% next year and 10.8% in 2016. 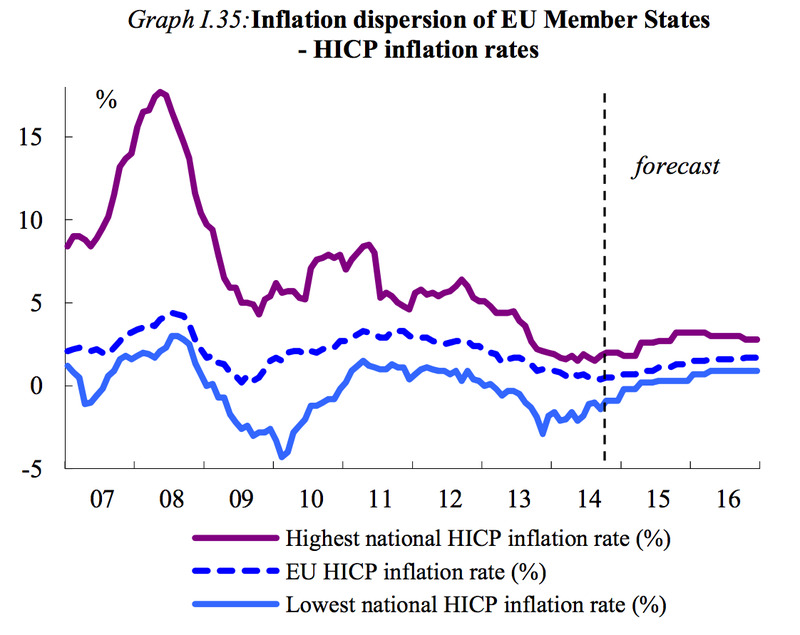 Draghi and the rest of the ECB have made it clear that they are able to look through short-term factors driving down inflation: in the summer, they talked repeatedly about downward pressure on energy prices, which didn’t necessarily merit more easing and (they thought) would dissipate. 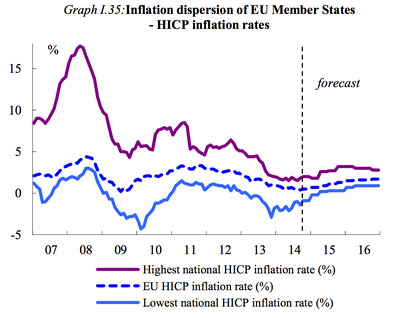 But they have also talked about the importance of keeping inflation expectations well anchored. It’s clear that they’re not, and increasingly markets and forecasters are not expecting inflation to return to target any time soon. Draghi has been taking a lot of heat, expect more in the press conference. In mid-October, the New York Times published a snippet from leaked ECB minutes detailing a disagreement between Jens Weidmann, head of the Bundesbank, and the rest of the governing council. The minutes are not meant to be released until 30 years after the meeting. There have also been a bunch of articles citing ECB sources on the souring relationship between Draghi and Weidmann, especially over the possibility that the eurozone will have to go for full-blown quantitative easing. This culminated yesterday with another Reuters piece suggesting that a set of central bankers representing some of the eurozone’s nations are going to challenge Draghi. The piece included allegations that he didn’t talk to other monetary policymakers about his latest promise on the ECB’s balance sheet or about some parts of his Jackson Hole speech. This is a huge problem for at least two reasons. First, when Draghi speaks, most people seem to think he’s talking for the ECB. But he’s not allowed to make decisions on his own. So if investors start to think that isn’t true, his interventions will have much less market impact. Secondly, expect the markets to react badly if there’s really a concerted campaign to get rid of Draghi. Though the ECB’s policy is often derided, it’s not usually thought to be his fault, and there’s a massive risk that someone more inactive or hawkish could get the post. Finally, here’s what what the big analysts expect. ‘Words. Words, I’m so sick of words…show me!’ sings Eliza Doolittle in ‘My fair Lady’. Ignoring the context, the emotion is familiar to ECB-watchers. We don’t want words, promises, or assurances, we want action. Unfortunately,Thursday’s meeting will be another fine display of verbal reassurance from Mario Draghi with no new policies on offer. Contrast that with the BOJ’s Haruhiko Kuroda – the market’s new ‘Man of Action’. Draghi will have to tread carefully at the press conference. While he will not want to say anything that may raise the pressure on the ECB to take further imminent action, neither will he want to do anything to reverse the favourable exchange rate and bond yield movements of recent months. On balance, we expect there to be little change in the language that Draghi adopts on Thursday. And we still hold the view that the ECB will not undertake sovereign QE and markets are overestimating the likely probability of such action. With inflation and GDP growth both close to zero, it would be surprising if Draghi was anything but dovish at the upcoming ECB press conference. However, given that the easing measures announced over the past several months are yet to be fully implemented, we expect Thursday’s focus to be on positioning the markets for December. Analysts at Nomura, Lloyds, Wells Fargo and Daiwa Capital Markets agree: dovish cooing, but no solid action from the ECB this month.